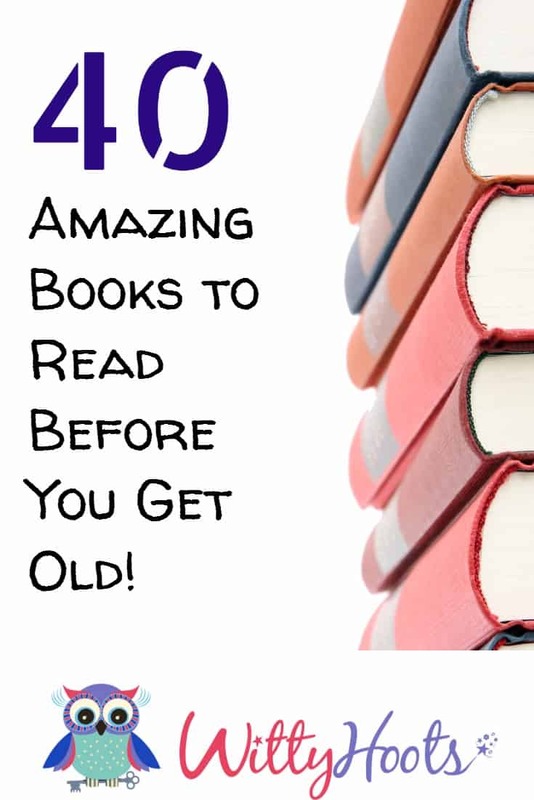 We are thrilled to bring you our list of 40 Amazing Books to read before you get old! It was difficult in actually only choosing 40 books, but we hope we have managed to capture some of your favourites as well as our own. Check out what everyone else is doing below and don’t forget to enter the free giveaway too! Great suggestions for all ages! And many I am looking forward to checking out. Thanks! What a great collection! I’m looking forward to exploring these with my kids! And noticed Good Night Mr Tom on your list – it was one of my favorites! Thank you! I enjoyed putting this together and I loved Good Night Mr Tom too!